Why a Property Buyout May be Your Best Option: Most likely, when you think of reserving an entire resort for your wedding, you may associate it with celebrities or the uber rich and famous. However, with the right property, you may find it’s more attainable than you thought. A team of experts from All About Honeymoons and Palace Resorts weighed-in on what some of the benefits are and suggested an ideal property for just such an occasion. Q. What exactly is a "wedding takeover" or “resort buyout?" How does it work? A. A wedding takeover or resort buyout is when a couple, their wedding group and their guests reserve all the rooms of a resort. 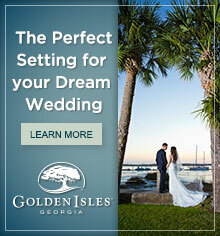 Guests who arrange a resort takeover can fully customize their wedding. Custom options are endless; esthetic changes such as personalized signage throughout the property, playing an in-room video brought by the couple, specific cuisine options and much, much more. The total look, feel and experience can be created to fit a couple’s needs and make their wedding as unique as they are. Q. Can you give an example of a property that lends itself to a buyout? A. An intimate beachfront hotel designed exclusively for adults, such as Isla Mujeres Palace, is a perfect beach retreat which offers buyouts. Equal parts bohemian-chic and resort-modern, this 62-room hideaway is known for its romantic setting, personalized service, attention to detail, luxurious extras and serene ambiance. Although the resort is normally adults-only, when guests book a buyout, children are more than welcome on property. to a refreshing pool, where all of the restaurants and staff are catering to you and your guests’ desires. This is the epitome of unique and will be a wedding everyone will be talking about and no one will forget. Q. What is included with a buyout? A. In addition to privacy and the highest level of personalized service, a buyout allows the couple to truly bring their wedding dreams to life by having total control of all details, surrounded by friends and family. For example, a property buyout at Isla Mujeres Palace includes a certified on-property wedding coordinator, available to ensure every wedding detail is perfectly executed. The couple will also enjoy welcome cocktails for the entire party upon arrival, followed by a festive afternoon pool party with details such as the music and cocktail menu preselected by the bride and groom. The evening will set the stage for an elegant rehearsal dinner complete with a decadent menu. On the day of, the wedding ceremony and reception can be themed to fit the bride and groom’s personalities. Other activities available with a buyout include tequila tastings, live entertainment, themed breakfasts, group games and more. Q. What are the benefits of a resort takeover? A. Couples who reserve an entire property don't have to worry about other resort guests either watching their wedding from a distance or walking by while they are taking pictures. They can play the music at the reception and not worry about disturbing other guests. They have flexibility for ceremony times and locations and get to choose the perfect spot to hold the reception as the resort is all theirs. That’s where your creativity plays a big role! You can plan events like karaoke or local entertainment can be arranged in advance. Q. 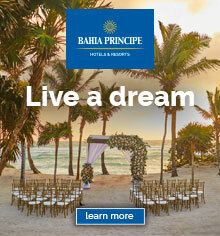 What makes Isla Mujeres Palace an ideal property for a destination wedding buyout? A. Isla Mujeres Palace is a small, boutique property which lends itself well to a wedding group. A close, intimate space shared by your friends and family with no other guests can be a dream come true; you feel like you have a private island all to yourself. my home and I had all my guests coming to visit. On top of that, we had staff pampering all our guests, so I was worry-free. Q. What if my guests have different travel budgets? A. In the case of Isla Mujeres Palace, the buyout rate is very accessible and brings substantial savings in comparison to individual rooms or even group rates. You have the flexibility to book the buyout and collect funds from the group at your discretion. At Isla Mujeres Palace, buyouts can be done for three-night stays or longer. Q. Would all the guests need to arrive and depart on the same day when there is a resort buyout? on average for a destination wedding. You can do a buyout just for those three to four nights and guests can come in early or stay later. Your travel agent will negotiate rates for extended stays. In the case of Isla Mujeres Palace, transportation is included from Puerto Juares to the resort on the date the buyout begins. Q. What is the ideal size wedding to do a takeover? A. The advantage of buying out a property is we can find a resort to fit the number of guests attending and the group's interests! Isla Mujeres Palace offers 62 rooms so you could have 100+ guests at this resort. There are other resorts with fewer rooms for smaller, more intimate destination weddings and much bigger resorts if you are planning to have a larger group. A. Absolutely! With a group of 30 guests, a resort “buyout” may not be the ideal scenario. 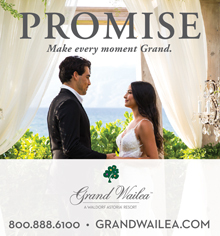 However, many resorts offer the option to host private events exclusive for your wedding celebration. Locations will vary by resort, but may include picturesque terraces, poolside patios, tropical gardens, restaurant venues and beachfront settings. Palace Resorts has great group benefits that may include unlimited private functions, a room upgrade for the bride and groom and complimentary nights. Q. Is it better to book a buyout directly with the hotel or to work with a travel specialist? A. Planning a destination wedding can be overwhelming, especially if you’re buying out an entire resort. With the help of an experienced destination wedding travel specialist, the process can be a breeze! 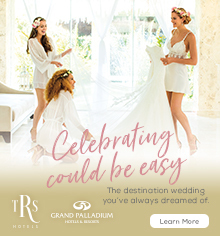 As a Palace Resorts PRO destination wedding travel specialist, I work with the hotel to negotiate the best pricing, promotions and amenities for you and your guests. I have knowledge and professional experience which will work in your favor, so leave the hotel negotiations to an expert who is most familiar with the process. Ultimately, it will save you time and money. Even better, you can focus on the fun stuff – like finding that perfect wedding dress! This article first appeared in Destination I Do's Fall2013/Winter 2014 issue. You can order a copy here.